HOT PINK style: Pink Day! We had a breast cancer awareness day at school yesterday, and we were asked to wear pink to show our support. Done! I'd been looking for a reason to wear my J. 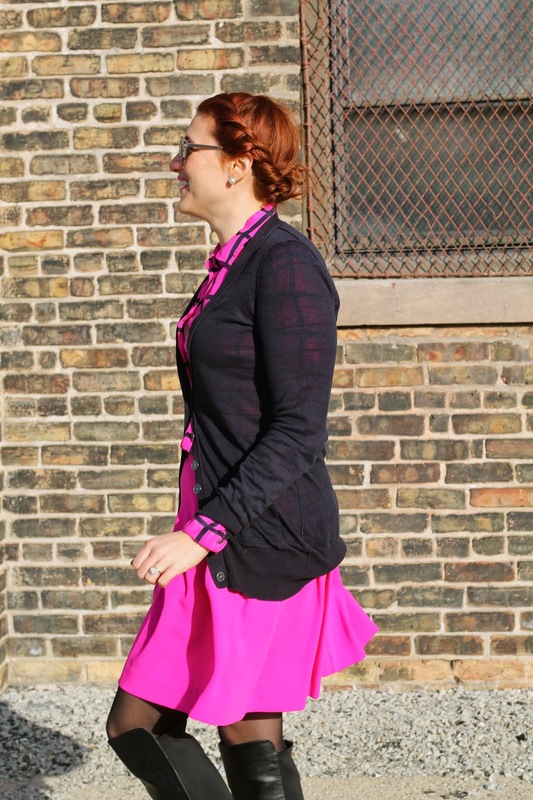 Crew window-pane blouse and pink pleated skirt together and not look insane! This was the perfect opportunity to pull off a pink overload. Cute outfit. Pink is so your color. I specially love that you added the fur stole. Very Chicago friendly spring styling.